When it comes to having peace in this world, it’s still a Matter of Faith… Like many of us the disciples faced a storm in their lives; and like many of us, they were stressed and fearful. Even though several of them were seasoned fishermen, they were so concerned for their safety that they woke Jesus up in alarm. “Teacher, don’t you care if we drown?” He calmed the sea and the wind, and asked them a couple of questions of his own: “Why are you so afraid? Do you still have no faith?” Perhaps it surprises us that the disciples, who had a relationship with Jesus, did not feel secure in Him. They still didn’t have a clear understanding of who He was. It surprises us that the disciples, who had seen Jesus perform miracles, were still afraid. Let’s try to make a couple of observations about this passage. 1) It’s easier to have faith when there is no need for it. When we have plenty of evidence, lots of assurance, and a measure of comfort and ease, then everybody has faith. But what about when the storms of life break upon us, and the dangers of this world surround us? What about when our eyes are blinded by the driving rain, and our hearts quake with uncertain fear? That’s when faith takes center stage and becomes real to us. People said in World War II, “There are no atheists in a foxhole.” I think most veterans of combat would agree. Faith matters most amidst uncertainty. 3) The disciples did not find assurance in psychology, technology, or theology. They found comfort in the presence of Jesus. They took heart in his words, and their faith was recalibrated as a result. If you have a relationship with Jesus, take back your faith, and find comfort in his presence. Take heart in his words. Perhaps when Jesus said, “Peace, be still”, he was talking to more than just the wind and the waves. By towering waves and threatening wind. From the boisterous wind on the stormy lake. Jesus said, “Why are you so afraid? And he looked at the waves and said, “Peace, be still”. It amazed me then; it amazes me still. Was he talking to THEM, or was he talking to ME? Jesus did some things that were astonishing to everyone around him. Crowds gathered around him and followed after him to see what he would do. Before there were paparazzi, there were people from all walks of life around Jesus, waiting to see what would happen. There were miracles everyone wanted to see and sermons everyone wanted to hear. I think of the four guys who carried their friend on a pallet and then broke through the roof to get him close to Jesus. They were hoping he would do something astonishing! I think of blind Bartimaeus standing at the edge of the crowd shouting out, “Son of David, have mercy on me!” He paid no attention to those trying to shush him. He wanted Jesus to do something astonishing. Hmmm, does that mean anything to you? You too have opportunity to be with Jesus every day. You can read his words, speak privately with him, and walk with him everywhere. Take note: go be with Jesus. Then go be astonishing! My walk would be dynamic! And my writing would be ‘fresh’! My faith would be amazing, and I’d walk with him for REAL. To see his life and hear him preach a sermon every day. The things that Jesus said and did are written in that Book! But when’s the last time you just sat with Jesus for an hour? But just go be with Jesus. Then, just go and be astonishing. Prayed For in the Garden: Who Did Jesus Pray For, and Why? 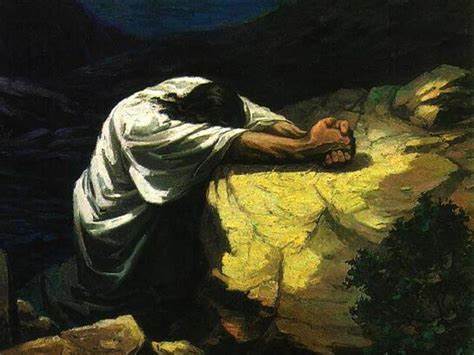 Just before he was betrayed and arrested, Jesus prayed in the garden of Gethsemane. Since he knew what was coming, I would imagine that he prayed for what was absolutely most important to him, wouldn’t you? So here’s what he said: “But now I come to You, and these things I speak in the world, that they may have My joy fulfilled in themselves. I have given them Your word; and the world has hated them because they are not of the world, just as I am not of the world. I do not pray that You should take them out of the world, but that You should keep them from the evil one. They are not of the world, just as I am not of the world. Sanctify them by Your truth. Your word is truth.” (John 17:13-17, NIV) I think it’s significant that Jesus prayed for those who would follow him; and when Jesus prayed for his followers, what he said is revealing. These few verses of Jesus’ prayer echo down the corridors of history to reveal His position, His purpose, His prediction of persecution, His protection, and His process. “I come to you”: Jesus is petitioning the Father, and places himself under the Father’s authority. Jesus prayed often (Mark and Luke both remark upon this habit), and he prayed for all of us who would someday believe in Him. He is on God’s mission, and he makes it clear that God is in control, acknowledging the Father’s ability to take his disciples out of the world or to protect them in it. “I speak these things in the world that they may have my joy fulfilled in themselves.” Wow! Jesus came to provide JOY!? How many joyful people do you know? His stated purpose was to share his own joy and have it fulfilled in his followers. In John 15:11 he said, “I have told you this so that my joy may be in you and that your joy may be complete.” If you are one of his followers, that applies to you. Are you joyful? Is joy being fulfilled in you and because of you? Isn’t it cool that He prays for our joy? Of all of the characteristics of eternal life, this is my favorite. Joy is a fruit of the Spirit; it is a characteristic of the Kingdom of Heaven; it’s the natural result of the resurrection! It’s essentially why Jesus came, and it is essentially why we are here on earth. Stop for a moment and just choose to feel joyful no matter what your circumstances. It may seem almost impossible, but it is a choice available to us regardless of what is going on around us. The joy Jesus refers to is not dependent upon comfort or affluence, or having perfect circumstances. Perhaps that is why He also prayed over believers who will experience persecution both from the world and from the evil one. “The world has hated them because they are not of the world” is both an acknowledgement of what his disciples experienced and a prophecy about what is happening today. If you experience opposition as a Christian, take heart! It means you are not of the world, and that Jesus held you in his heart that stressful night in Gethsemane. Jesus prayed protection over you, and asked his Father to protect all of His children from the evil one. No matter how dark our circumstances, Jesus’ prayer seems to indicate that there is hope beyond the difficulty. Has life got you down? Ever feel discouraged or alone? Jesus has been there, and he knows not only how you feel, but what you need. Jesus asked the Father to reserve us to himself, and told us how that happens. “Sanctify them by your truth. Your word is truth.” Sanctified means “set apart”. Are you? Is your life entwined with things of the Spirit or things of the world? Do you read social media or watch TV more than you read God’s word? Connect the dots here. Jesus says he spoke these things “that they may have my joy fulfilled in themselves. But I have given them Your word…” The process for sanctification comes from the Word of God, and so does Joy! Has life got you down? The more time you spend with God’s Word, the greater both your sanctification and your joy will be. Dive into the deep waters of Jesus’ prayer for you and you will find them both. Jesus knelt there in the night and prayed a little while. Jesus took some time to intercede for me and YOU. He asked the Lord to sanctify us, and to give us joy. Knowing that his work would bring us joy and give us hope! Embrace the joy that Jesus promised to us when he prayed. 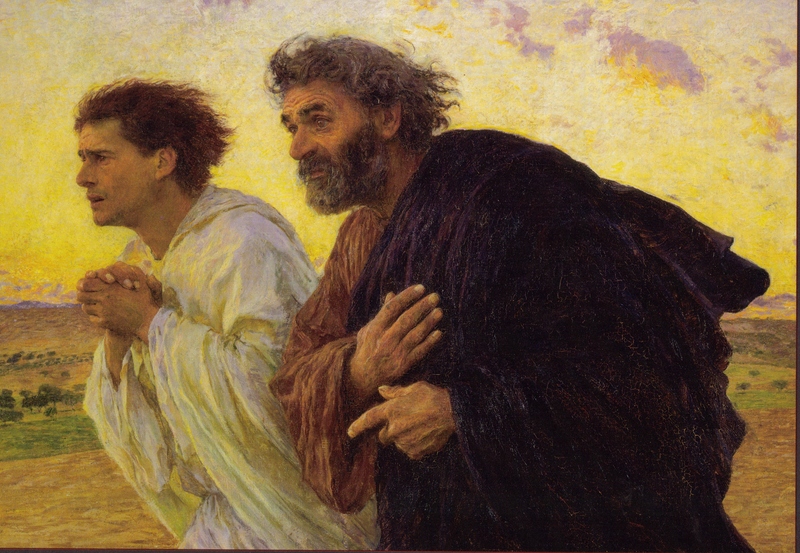 Christ’s resurrection (which we just celebrated on Easter) was important for so many reasons. 1) It AUTHENTICATED the incarnation, or who Jesus was: he was not just an itinerant rabbi, he was the incarnation of the invisible God. An image can ONLY reflect the original, and do exactly what the original does. Stand in front of a mirror and try it! Your image will do what you do. There are different concepts out there about incarnation, but none as simple and profound as Jesus. 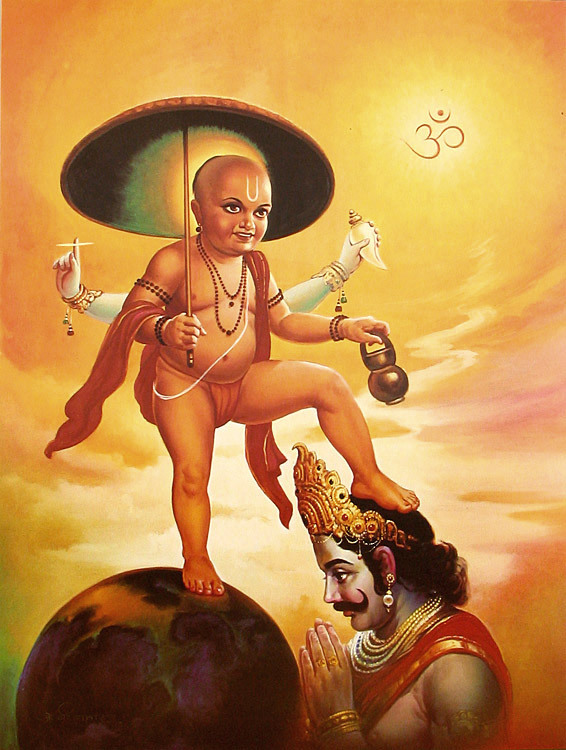 Several mystic and mythological religions utilize the concept of a god becoming man, but they are only cheap imitations of the REAL thing. If you want to determine whether or not physical representations of the Almighty are actually God, then investigate what they did and what they taught. Jesus of Nazareth was unique in his time, in his culture, in his approach, and in his impact. As “God with skin on”, Jesus showed us what the Father looks like. The incarnation means that Jesus is the visible image of a spiritual God, and you know what? We can be, too. 3) The resurrection VALIDATED Christ’s position as the incarnation: he is the head of the church, the pure expression of the Father’s fullness in human form… God’s fullness burst forth in new life not only for Him but for us. He has supremacy in everything. He earned his position not by conquest, not by coercion, but by humility and sacrifice; and He represented the pure incarnation of the Father in human form. 4) Finally, it proved that he RECONCILED us to God: the wages of sin are death, and every human after Adam was held to account for their trespasses. The only hope seemed to be in keeping the law (at which all men failed) or having faith in an unlikely promise of redemption. Christ’s position enabled him to keep that promise (since his voluntary death paid our accounts in full). His incarnation demonstrated the result of being reconciled: LIFE! If Christ is in you, then the reconciled, eternal life you have can now reflect the very image of God. Here’s an illustration about how that works: I may not be a great tennis player, but what if the spirit and presence of Roger Federer could unzip my skin and step into me and guide my body with his will and understanding of the game? I would think differently, and I would certainly play tennis differently. Yeah there would be some limitations (because after all he’d have to play with MY body), but if Roger put my skin on, I’d be able to play tennis at a much higher level. God calls us to be yielded to His authority, and to be inhabited by His Spirit. He wants to express His love and character through us just as He did with Jesus; in fact, history is FULL of examples of people who committed acts of courage, or selfless love because they were touched by the incarnation of God, and allowed His Spirit to literally guide them into new behaviors and new actions. Doesn’t that just fill your day with new possibilities? Raise your game. Smile at someone today as if God was smiling through you to them. Then do everything else as if He was, too. You know what? He is. And used His power to put each one in place. Was born in Bethlehem on Christmas day? (The resurrection on Easter Sunday, the last of the Ten days of Passion Week) All over the world, people today are celebrating the resurrection of Jesus. 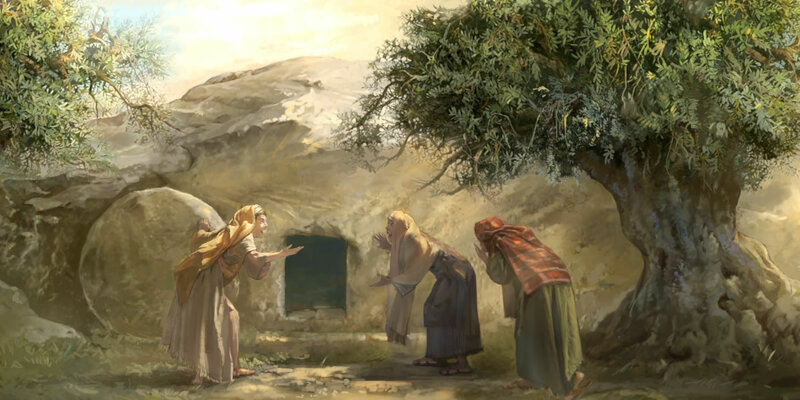 It’s an interesting phenomenon because most rational people know that it is impossible to raise anyone from the dead, and yet believers everywhere accept by faith that the resurrection occurred. Why? How can anyone accept the resurrection as fact when it HAS to be false? Why celebrate Easter at all if it the resurrection couldn’t have happened? It’s a legitimate question that any skeptic would ask, and I’d offer a couple of things in response. I don’t believe faith has to be blind, or that as Christians we have to discard reasonable logic because we have faith. First of all, there is EVIDENCE of the resurrection. There were lives indisputably changed ONLY AS IF Jesus had been raised from the dead. The disciples were somehow transformed from a group of hidden cowards and traitors to bold witnesses who proclaimed the resurrection in the face of persecution and opposition. Hundreds of other eyewitnesses shared the good news with thousands of believers who stubbornly maintained the truth of the resurrection even when threatened with arrest and violent death. Why? Why should anyone die for a hoax or a lie when there was no compelling reason for them to maintain a spiritual charade? There were written accounts of it that were widely circulated as affidavits to the truth. Eyewitnesses accounts testified about seeing Jesus in a risen state well after his crucifixion and death. To me, all of those things speak to a central fact: something happened. Something happened that transformed cowardly disciples into powerful witnesses. Something caused ordinary people to become extraordinary believers; and something created a movement that shifted human history and eventually toppled the mighty Roman Empire. But those things are not the evidence that impress me most about the truth of the resurrection; what gets my attention is the way the Gospel writers told the story, because they did it all wrong. “But the angel answered and said to the women, “Do not be afraid, for I know that you seek Jesus who was crucified. He is not here; for He is risen, as He said. Come, see the place where the Lord lay. And go quickly and tell His disciples that He is risen from the dead, and indeed He is going before you into Galilee; there you will see Him. Behold, I have told you.” (Matthew 28:5-7, NKJV). This is Matthew’s account of the Gospel testimony to the resurrection of Jesus? Do you see what is really out-of-place here? There is something drastically wrong with Matthew’s story. You see, he and the other Gospel writers recorded that women were the first witnesses at the empty tomb. In Jewish law, women’s testimony was not admissible, so why would Hebrew authors include this unless it were TRUE? (In fact, Luke says that the disciples thought the women’s story was “idle tales”. Mark says when mourners heard this news, “they did not believe”.) But instead of reworking the story to make it more credible (which would have been the obvious play if they were perpetuating a hoax), the Gospel writers reported that the women were first on the scene, even though such an “un-doctored” version might hurt their credibility with Jewish readers. If the Gospel writers had wanted to convince everyone that the resurrection was true, they would have written a more believable story. “For I delivered to you first of all that which I also received: that Christ died for our sins according to the Scriptures, and that He was buried, and that He rose again the third day according to the Scriptures, and that He was seen by Cephas, and then by the twelve. After that He was seen by over five hundred brethren at once, of whom the greater part remain to the present, but some have fallen asleep. After that He was seen by James, then by all the apostles. Then last of all He was seen by me also, as by one born out of due time.” (I Corinthians 15:3-8, KJV). “For if the dead do not rise, then Christ is not risen. And if Christ is not risen, your faith is futile; you are still in your sins! Then also those who have fallen asleep in Christ have perished. If in this life only we have hope in Christ, we are of all men the most pitiable.” (I Corinthians 15:16-19). And finally: “Blessed be the God and Father of our Lord Jesus Christ, who according to His abundant mercy has begotten us again to a living hope through the resurrection of Jesus Christ from the dead…” (I Peter 1:3). The resurrection is not a fantasy or an early Christian conspiracy. Chuck Colson made the observation that if twelve of the most powerful men in America could not keep Watergate secret, it is HIGHLY unlikely that twelve fishermen and disciples could have maintained a secret conspiracy to invent the resurrection while being tortured and killed over it. The reality of the resurrection toppled an Empire who tried to suppress it, and dozens of eyewitnesses died attesting to it as fact. That factual occurrence changed the world 2,100 years ago, and has been changing the world ever since. It still has the power to change yours today. He is risen! HE IS RISEN INDEED! Passion Week: Ten Days that Changed the World, Day NINE (Matthew. 27:57-66; Luke 23:47-56; John 19:31-42): As Friday came to a close and the Sabbath began, the Gospels report that two somewhat surprising figures step forward to make arrangements for Jesus’ body. “Later, Joseph of Arimathea asked Pilate for the body of Jesus. Now Joseph was a disciple of Jesus, but secretly because he feared the Jewish leaders. With Pilate’s permission, he came and took the body away. 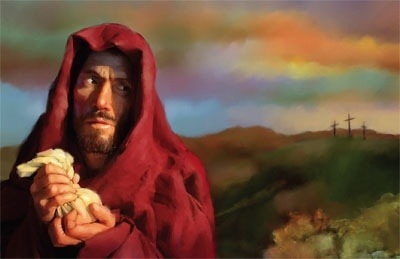 He was accompanied by Nicodemus, the man who earlier had visited Jesus at night“. (John 19:38-39, NIV) The appearance of these men is very surprising, even though we know both of them had been involved with Jesus before. As Pharisees or members of the council, they took great risks to bury Jesus. They identified themselves with him on this Sabbath Eve when there was seemingly nothing to gain and everything to lose. They faced ostracism and persecution for taking this action, but their love for Jesus was so strong they did it anyway. I’d love to know what their stories were after this, what risks they took to go get Jesus’ body, and how it affected them the rest of their lives… (Won’t it be cool to ask them?) And their actions make me question something… How many of us follow Jesus just because we love him, rather than for what he can do for us? I know that’s hard to separate, but it’s a question worth asking yourself on Easter. Saturday (the Jewish Sabbath) was a quiet day, when Israelites did not work or move around much. This Sabbath began with Jesus dead and in the grave. Judas has committed suicide. The disciples are scattered and afraid. Peter in particular must have spent this day broken over how he let Jesus down. The boldest disciple failed to identify with Jesus when it counted most, and I imagine that he spent the day utterly distraught over what he had done and hadn’t done…You and I have had broken days or moments like that…Just remember that it’s Saturday, but Sunday’s coming! As you reflect on Good Friday and the cross, there are many things to consider. Sin is a deadly business. So was paying for it. You’ve seen images of the cross. The crucifixion day has been vividly portrayed in songs, films and books that provide context and emotional connection to how Christ suffered and died and what his death accomplished. Simply put, he paid for the sins of the world, for your sins and mine, and offered himself as a voluntary sacrifice. I believe if there were an easier way, God the Father would surely have provided it. Since it was the ONLY way, God the Son carried out his mission. As Paul said, “For if, by the trespass of the one man, death reigned through that one man, how much more will those who receive God’s abundant provision of grace and of the gift of righteousness reign in life through the one man, Jesus Christ!” (Romans 5:17, NIV). Caiaphas was obviously not in agreement with nor aware of the true outcome of Christ’s mission, but he was inadvertently spot on when he advocated getting rid of Jesus so that the Romans would not punish Israel for insurrection: “You do not realize that it is better for you that one man die for the people than that the whole nation perish.” (John 11:50, NIV) One man died so that all could live. The day between the cross and Easter is the pivotal day in human history, and it offers a chance to reflect on the pivotal sentence in human history: “For God so loved the world that he gave his only begotten Son, that whosoever believes in Him should not perish, but have everlasting life.” If that sentence is true, then ALL OTHER SENTENCES pale in comparison. Easter Sunday is the exclamation point on that sentence. What do YOU believe about the cross? It’s not about the things that bloom or little birds that sing. Like chocolate bunny rabbits or a bunch of egg-shaped sweets. It’s even more than Easter Sunday worshipping at church. And took my punishment for sin: He died and took my place. And saw his mission to the end. And died on our behalf. And lift us to the heavens with Him when He rose again! Jesus died and rose again. That’s what Easter is. (Good Friday, on Day Eight from Passion Week: Ten Days that Changed the World) Matthew 26:47-27:56; Mark 14:43-15:46; John 18:2-19:30 There are so many things to cover on Good Friday: The treachery of Judas bore fruit: Jesus was illegally tried by the high priest, shuttled back and forth from Caiaphas to Pilate to Herod…Pilate kept trying to evade judging Jesus, saying “I find no fault in him.” Jesus was beaten by professionals, mocked and abused by jaded sadistic guards who tried to get a rise out of him… Yet he bore their accusations and insults stoically, refusing to indulge their curiosity or their cruelty. He was unjustly condemned to death by crucifixion, certainly a most horrible way to die, and the agonies of the cross are well-documented. His statements on the cross reveal his character or point to prophetic predictions about who he was and how he would die. By quoting Psalm 22 (“My God, why hast Thou forsaken me?”), he reminded us yet again that this wasn’t some random cry for help, He was quoting SCRIPTURE! He knew what was coming, and His reference to Scripture shows us that He PLANNED all of this, and that He wanted us to remember. When He said “It is finished”, He wasn’t speaking about his life but his mission, and He died only when He announced that He was commending his spirit to his Father. Judas certainly obtained an infamous place in history, and he has been condemned for his actions ever since. He is forever linked to the death of Jesus as the greedy traitor who valued money more than his master’s life. Judas killed Jesus as surely as if he had personally nailed him to the cross. Despicable, right? That certainly personalizes the reward: wow, Jesus loved me so much that he would have died for only ME! And it is true. However, when you think about it, it also means that it personalizes the penalty. If I was the only person to ever live, Jesus would still have had to endure the agony of the cross to save me. I put him there. YOU put him there. Along with Judas, we all did. That probably means we should live in such a way to justify the cost of the cross. And not just at Easter. And the question remains: What Do YOU Believe About the Cross? Thursday was perhaps the longest day of Passion Week, since events occurred deep into the night and continued straight on into Friday. On Thursday the disciples shared the Last Supper and heard Jesus speak about things they didn’t understand. “While they were eating, Jesus took bread, and when he had given thanks, he broke it and gave it to his disciples, saying, “Take it; this is my body.” Then he took a cup, and when he had given thanks, he gave it to them, and they all drank from it. 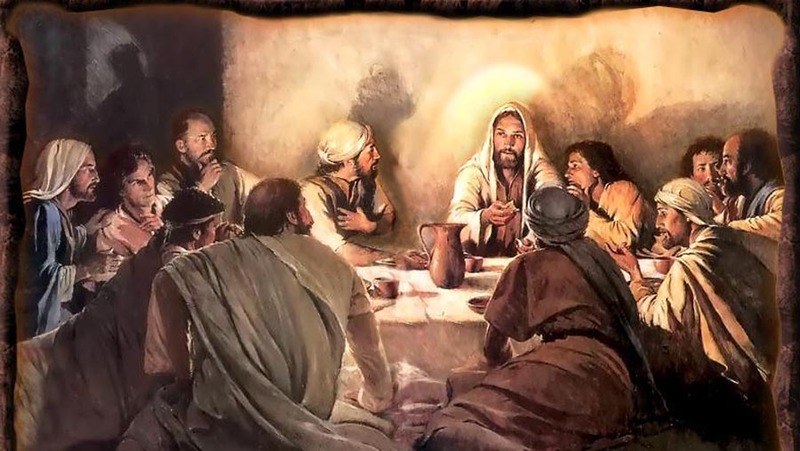 “This is my blood of the covenant, which is poured out for many.” (Mark 14:22-24, NIV) On Thursday Jesus and the disciples ate the Last Supper together. While they were probably still a little giddy over the triumphal entry into Jerusalem, Jesus continued to prepare them for what was coming. He knew that Judas was going to betray him and that Peter was going to deny knowing him. Certainly the sacrifice of the Passover lamb was not lost on him, and if you think about how Jesus must have felt during dinner, it is an incredibly poignant moment. At dinner he told them frankly that they would all desert him, and all protested that they’d never do such a thing! He knew they loved him, and he knew they’d fail. Have you ever had good intentions, and promised the Lord you’d never forsake him? And then you did it anyway? Remember what happened with the disciples and take heart! In Luke’s account they argued about who would be the greatest in the new kingdom, and he used this time to teach them. If you knew you had but two days to live, what would you share with your family and friends? What final things would you say to them? Jesus told them (and us) to love one another. “A new command I give you: Love one another. As I have loved you, so you must love one another. By this everyone will know that you are my disciples, if you love one another.” (John 13:34-35, NIV). 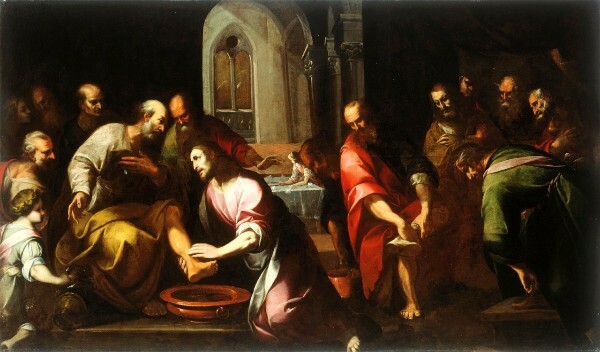 In this case, Jesus literally demonstrated his lesson by humbling himself as a servant and washing their feet. (And in a land without indoor plumbing, dust was not the only thing that made feet stinky and dirty—which is why foot washing was such a degrading task.) Jesus told them to serve one another, and to lead through service. “Now that I, your Lord and Teacher, have washed your feet, you also should wash one another’s feet. 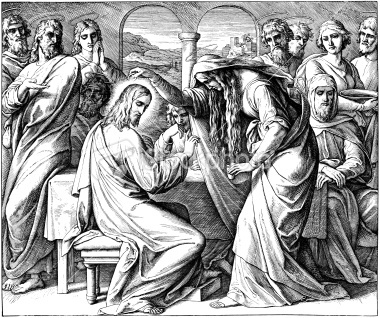 I have set you an example that you should do as I have done for you.” (John 13:14-15, NIV) The church today celebrates this as “Maundy Thursday” as the day Jesus performed this act of service, but the word actually comes through old French and Middle English from the Latin mandatum, or mandate. Jesus said, “a new mandate I give to you, that you love one another”, and demonstrated it by serving. On Thursday night they go out to the Mount of Olives to Gethsemane, where Jesus prays, and the disciples fall asleep. (We are incredulous that they do, but seriously, have YOU ever fallen asleep while praying? Thought so!) Judas brokers his deal with the Pharisees, and they come out with armed guards to arrest Jesus. John’s take on this is interesting, to me one of the most fascinating vignettes about Jesus’ power in all of Scripture: “Judas came to the garden, guiding a detachment of soldiers and some officials from the chief priests and the Pharisees. They were carrying torches, lanterns and weapons. Jesus, knowing all that was going to happen to him, went out and asked them, “Who is it you want?” “Jesus of Nazareth,” they replied. “I AM he,” Jesus said. (And Judas the traitor was standing there with them.) When Jesus said, “I AM he,” they drew back and fell to the ground.” (John 18:3-5, NIV, emphasis mine). When just the sound of his voice was enough to make a group of tough armed guards fall down, do you think they could have taken Jesus by force unless he allowed it? No way! Again, he is a volunteer on this mission, not a victim of circumstance. Thursday is a busy night. Judas betrays Jesus with a kiss. Peter denies knowing Jesus three times, locks eyes with Jesus across an open courtyard, and then goes out and weeps bitterly. John is close enough to Caiaphas’ house to record what transpired there, but technically ALL the disciples betrayed Jesus because there is NO ONE who tries to stand up for him against the Sanhedrin… It’s easy from a distance to judge these cowards until you stop and think: has there ever been a time when YOU didn’t acknowledge knowing him? When YOU didn’t stand up for him, if even in the quietness of your own heart when temptation to sin beckoned you? I understand the cowardly disciples better when I take an honest look at MYSELF. The high priest’s guards blindfold and beat Jesus, saying, “Prophesy! Who hit you?” This sleepless night initiates an exhausting journey to the cross, which Jesus could have chosen to avoid at any time. The Son of God did not HAVE to go through with this. He had a choice in every moment, and could have called upon Angels to minister to him, to end the exhaustion and the pain and suffering. Yeah we all might have been lost, but HE would still have been the Son of God. So what made him do it? Of the Ten Days that Changed the World, Wednesday was a quiet day at Bethany, not really mentioned much in the Gospels. 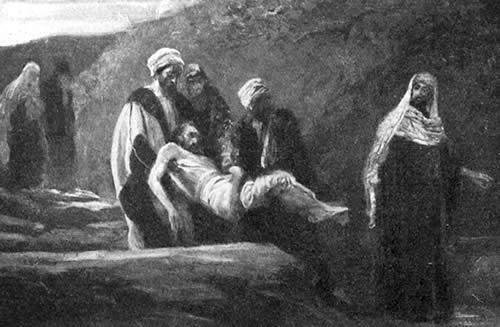 Mark 14 and Matthew 26 record three snapshots of the day: the scheming Priests and elders decide to kill Jesus; Jesus is anointed by a woman at a dinner party in Bethany at the home of Simon the leper; and Judas agrees to betray Jesus for thirty pieces of silver (about four months’ wages). 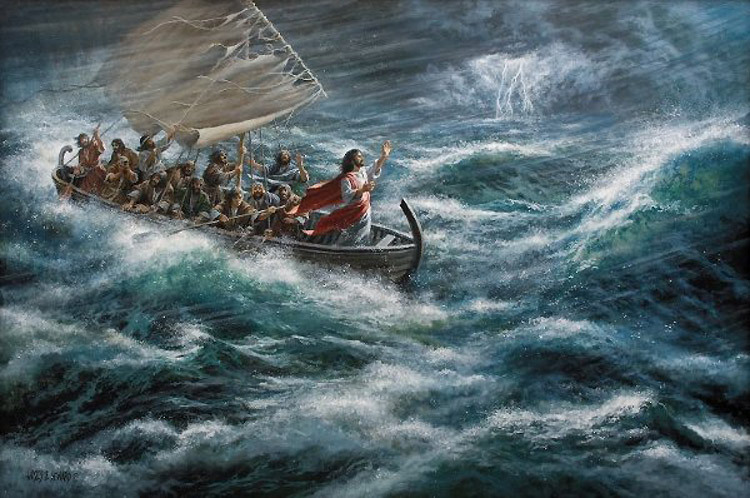 After all of the confrontations at the Temple on Tuesday, Jesus used Wednesday to spend time with his friends and disciples back in Bethany, but the other events taking place on Wednesday hasten the coming storm. Matthew 26:1 says, “When Jesus had finished saying all these things, he said to his disciples, “As you know, the Passover is two days away—and the Son of Man will be handed over to be crucified.” This would be the annual Passover celebration, held on Nisan 15 (Leviticus 23:5-6). Some scholars feel that there could have been an additional (Passover) Sabbath, beginning Wednesday at twilight and lasting until Thursday evening. The traditional view is that Passover and Sabbath began together on dusk at Friday. Since John 19:31 says that Friday was the day of preparation before Passover, and since Jesus Himself says Passover is two days away, it adds weight to the accepted view. [Meanwhile, back in Jerusalem:] “Then the chief priests and the elders of the people assembled in the palace of the high priest, whose name was Caiaphas, and they schemed to arrest Jesus secretly and kill him. “But not during the festival,” they said, “or there may be a riot among the people.” (Matthew 26:2-5, NIV). Jerusalem’s population swelled by thousands of Pilgrims during such events, and it made sense that the Sanhedrin would be cautious about how they navigated the political waters. I’ll use the quiet of Wednesday to touch on chronology: when did things happen, and how long exactly was Jesus in the grave? The timing of events during this week has been questioned, and there are two different views about it. If Jesus was in the grave 3 days (as he said he would be in Matthew 12:40), then how do you reconcile a Friday death and a Sunday resurrection? The traditional view holds that it was part of Friday, all of Saturday, part of Sunday – “three days” – but since that’s only two nights, some folks feel that it doesn’t allow enough time to fulfill the Messianic prophecy. Since this is the annual Passover celebration, held on Nisan 15 (Leviticus 23:5-6), some say there could have been an additional annual (Passover) Sabbath, beginning Wednesday at twilight and lasting until Thursday evening. This means that Christ would have been crucified on Wednesday, and allowed for 3 full days and nights in the grave. It also reconciles timing statements about when the women bought spices to anoint Christ’s body, since according to Mark they bought spices “when the Sabbath was over” (16:1), and Luke’s account says they prepared them before the Sabbath (Luke 23:56). A high holy annual Sabbath starting Wednesday night through Thursday, followed by the day of preparation on Friday, allows for both accounts to be true. These details make for some interesting scholarly debate, but I think it is always reasonable to follow the path that agrees with simple logic. Since the exact days chronology is not a make or break issue, you can decide for yourself which makes the most sense. The traditional view coincides with what early Church Fathers believed, and allowed for the Middle-Eastern comprehensive logic that often defaulted to “both-and” rather than “either-or” positions. To me, the mid-week holy day causes significant compression of some events, and means that Jesus would have been tried Tuesday night, so it is not without its own problems; but it does help explain some seeming discrepancies and it allows for three full days between the cross and the resurrection. As for me, I’m staying traditional, mainly based on Jesus’ statement about Passover being two days away. It’s important to note that placement of these types of historical details do not make or break Scripture. The Bible is a Book of History, but it is not merely a history book. The Gospel writers did indeed have specific points of view and audiences they were addressing, and while they vary in some details, they agree wholeheartedly on who Jesus was and why He came. In fact, I have often felt that God allowed for certain non-foundational nuances in the Bible to remain somewhat unexplained, in order to stimulate our curiosity and motivate us to dig into the Book. The deeper we are able to get into the Bible, the deeper it is able to get into us. As we consider the events of Passion Week, that’s probably a good thing. Was he a Rabbi who overplayed his hand, or a King who had total command? Was he a mistreated milquetoast, or a man on a mission? It was what he expected. Tuesday of Passion Week was a busy day of confrontation. (Matthew 21:23 through 22:14; 41-46; John 12:2-8). The Passover created a huge festival-like atmosphere in Jerusalem, during which pilgrims flocked into the Holy City from all over the country. During Passover week, the population of Jerusalem swelled from about 100,000 to over a million as visitors and pilgrims crowded in to offer sacrifices and participate in the Temple activities. Some estimates reliably put the population of Jerusalem at two million people during festivals, so we can safely say that the stage was set for this Passover week to take place before most of the nation of Israel. Crowds lined up around the Temple and in the marketplaces of Jerusalem. 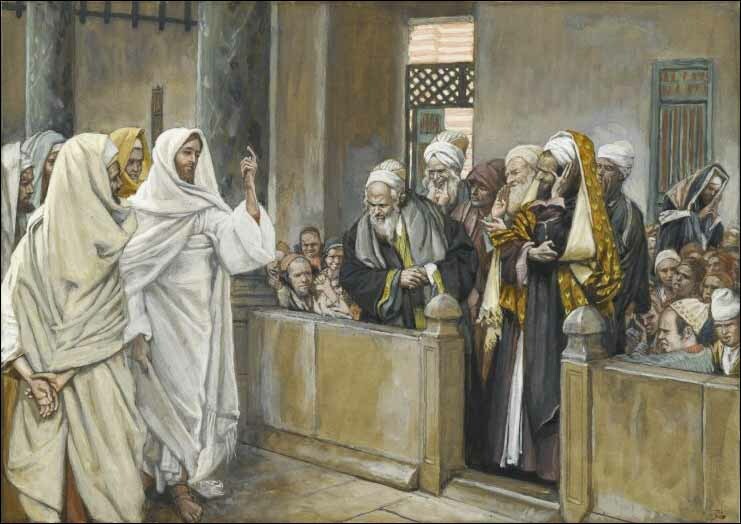 Jesus started Tuesday in the Temple courts, where he was challenged by the chief Priests and elders. In response to this confrontation, He asked them about John’s [obviously blessed and sanctified] baptism. “They discussed it among themselves and said, “If we say, ‘From heaven,’ he will ask, ‘Then why didn’t you believe him?’ But if we say, ‘Of human origin’—we are afraid of the people, for they all hold that John was a prophet.” So they answered Jesus, “We don’t know.” Then he said, “Neither will I tell you by what authority I am doing these things.” (Matthew 21:25-27, NIV). Jesus made it clear that he was not some itinerant Rabbi, but someone with authority that they were refusing to accept. He not only confounded the elders, he taught in parables about God’s kingdom and the cost of rejecting it. He answered the Sadducees’ devious questions with answers so wise that the crowds were astonished! (“Render unto Caesar…” Matthew 22:21) The Pharisees’ experts then tested his knowledge, hoping to get a sound bite they could criticize. Instead, He used a Messianic Psalm (110:1) to authenticate both his position as Messiah and his incredible grasp of Scriptures, “and from that day on no one dared to ask him any more questions.“ (Matthew 21:45). From these conversations, even if you totally reject the concept that Jesus was God, you would still have to rationalize his incredible understanding of Scripture and his keen insight in men’s hearts and minds. His answers to the Priests and elders seemed to see right through them. Apparently the members of the council lost their appetite for confrontation after that. Jesus finished his time in the temple on Tuesday revealing the Pharisees’ hypocrisy. He contrasted their self-righteous evil (they loved places of honor, took pride in titles, and prayed for show) with the selfless giving of the widow’s mite (she gave all she had). I have a feeling that the Kingdom of heaven will surprise a lot of us rich Americans who see material things as “blessings”. He ended the day with his radical prediction about the Temple’s destruction and his teaching on the Mount of Olives about the signs of his return and the end of the age. This long Tuesday was a very important day of proclamation and teaching. Jesus not only answered the devious questions of the Pharisees, he proclaimed his authority, and then denounced them publicly. If any of them were wavering, he challenged them to repent. But the vibrant life of his message fell (as he knew it would) on hardened hearts, and his bold denunciation galvanized the self-righteous Pharisees into implacable foes.